So much of the past is worth preserving for future generations. Stories and culture of the past are fascinating. In 2010, Jim and I were invited to an event to honor WWII veterans in Southeastern Connecticut. At the meeting we learned that WWII veterans are dying at a rate of 1000 per day*. The intent of the event was to express gratitude to the veterans for serving in World War II before they passed on. It was a very pleasant gathering with several local dignitaries as guest speakers. After the guest speakers, the Secretary of State (at the time), Susan Bysiewicz, asked that veterans speak up and take a few minutes to tell a story about their experiences in WWII. Quite a few of the veterans told stories. Ms. Bysiewicz indicated there was time for one more and my other half, Jim raised his hand and was chosen to speak. I was so impressed and proud of him. Normally a shy person, he spoke beautifully and related the most interesting story of all the veterans. He started by saying: "This is the story of how something that started out so dreadfully wrong, turned into something perfectly right." Jim was a paratrooper with the U.S. Army in the Pacific Theater in WWII. After a little background information about WWII, we will relate Jim's story. Prior to WW2, the Philippine nation was a U.S. protectorate. In order to defend the main island of Luzon and the capital of Manila from a western attack the U.S. Army Corps of Engineers built a fortress on a small island in Manila Bay. 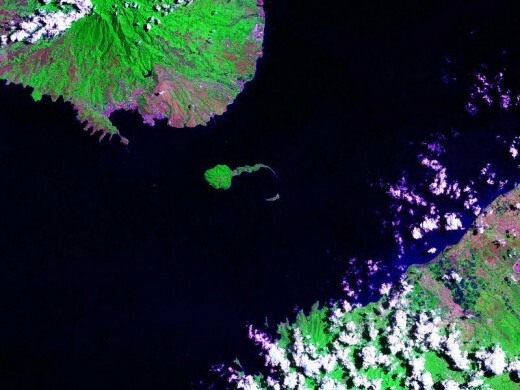 The island was called Corregidor. 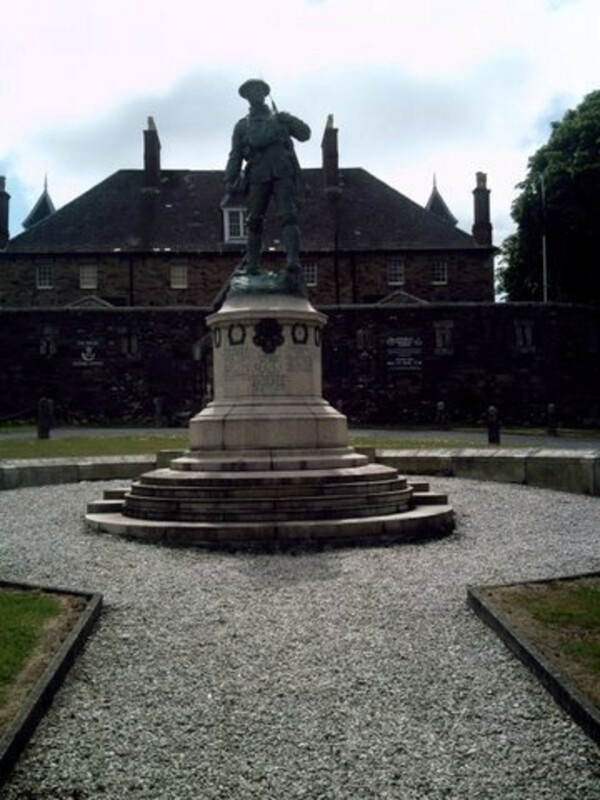 The U.S. Army built barracks, a parade ground and a golf course for troops stationed there. 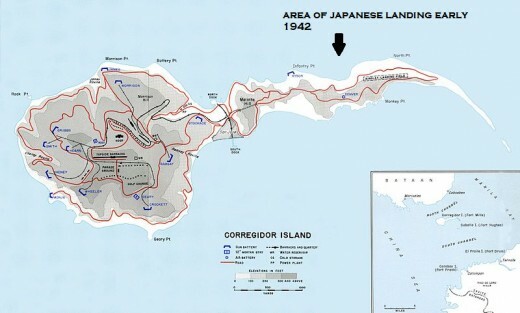 The island of Corregidor is shaped like a tadpole and is approximately 1 mile (1.6 km) wide and 3 miles (4.8km) long. It has steep wooded cliffs in which there were hidden gun emplacements. It was occupied by units of the U.S. Army. 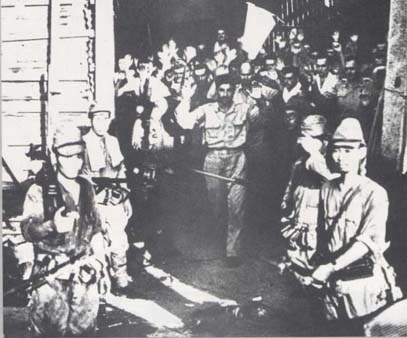 During the Japanese invasion of the Philippines in May, 1942 they captured Corregidor to silence the guns and imprison the American occupants. The U.S. defense of the island was exemplary, but the Japanese succeeded in taking the island. The invasion was extremely costly in terms of the casualties and time to both the Americans and Japanese. In early 1945, during the re-taking of the Philippines, U.S. Navy ships, maneuvering around Manila Bay were being fired on by guns, manned by the Japanese, on Corregidor. It was decided that Corregidor had to be taken back. In remembering the Japanese situation earlier in the war, it was decided that an infantry amphibious landing would be pre-empted by a surprise parachute assault to secure the beach for the infantry units. My outfit, the 503rd Parachute Regiment combat team, would make the jump. 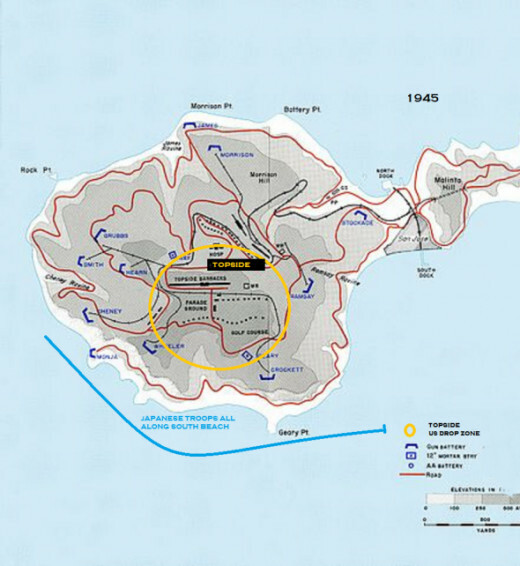 Our best intelligence sources told us there were 850 Japanese troops on the island. There were actually over 7,000 enemy troops. We could only muster 52 planes which would suffice for one reinforced battalion (1000 men). With the intelligence information we had, this was thought to be sufficient to secure a perimeter on "topside" overlooking the beach where the infantry would come in. The rest of the regiment would come in later as reinforcements. On the morning of the assault, my battalion (the 3rd) would begin jumping at 8:00 a.m. and cover the beach. 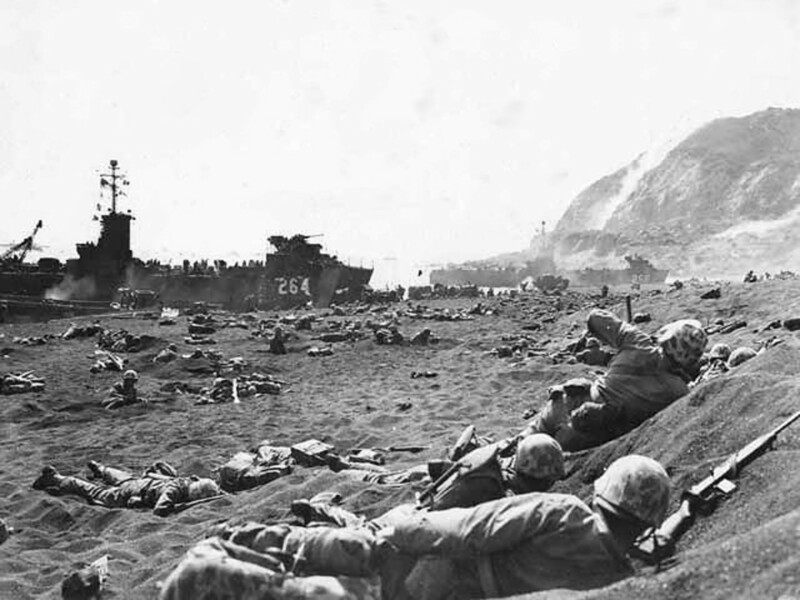 Then, at 10:00 a.m. the infantry would begin their landings on the beach. I am not aware if our command knew that the Japanese commander thought that an air drop was impossible. The Japanese commander deployed his guns facing the sea in readiness for an amphibious attack. The Japanese commander knew it would take at least 1000 yards (.9 km) for a plane load of paratroopers to safely jump. There was no space on the island clear enough to jump that was larger than 250 yards . There were the old parade grounds and golf course, from before the Japanese capture of the island in 1942. However, these were strewn with rubble from the bombing and shelling of the concrete and tin roof barracks. There were also sheared, pointy tree stumps. 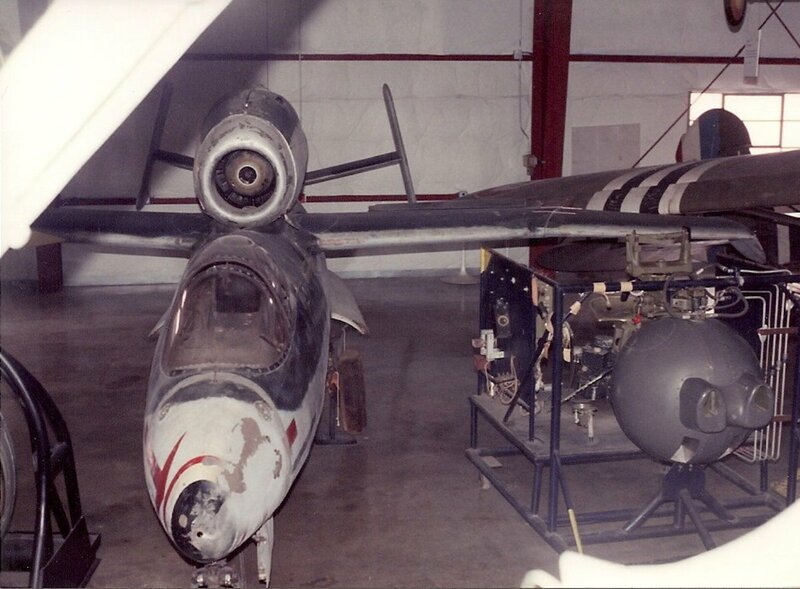 The Japanese commander thought these two areas were not serious drop zones. On the other hand, our commanders thought it would be okay to use the parade grounds and golf course. was for the planes to approach in 2 columns (26 planes in each column). 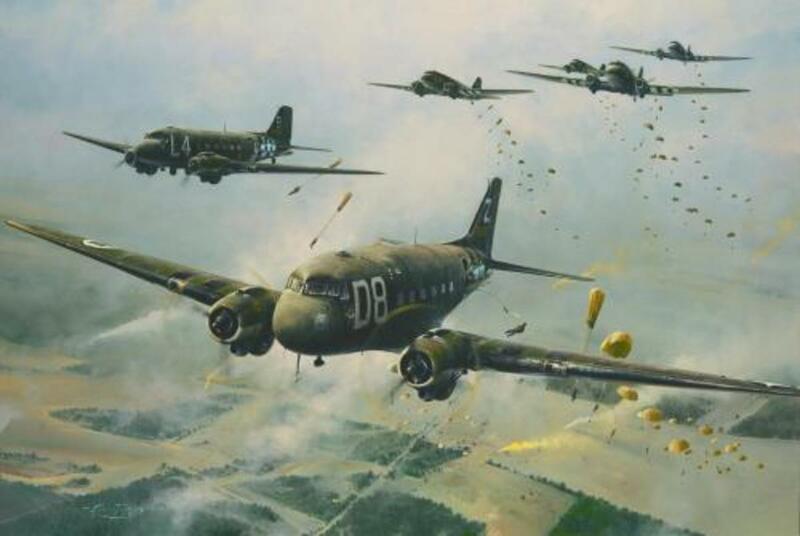 Each plane would drop 6 or 7 paratroopers; swing around, get at the end of the line, come back over the drop zone again, drop 6 or 7 more, and repeat this maneuver until all the troops have jumped. On the day of the jump, things went pretty much as expected. As the planes approached, the boats with the infantry were positioning offshore. (The Japanese commander may have thought the planes were bombers making a last "softening up" run before the infantry came in. He made no changes). We completed our jump successfully by all accounts. We suffered 25% casualties, mostly jump injuries on the broken concrete barracks and tree stumps. We were able to form a defense perimeter on "topside". We still had 750 able bodied men and were able to knock out some heavy weapons aimed at the beach. So far everything that could have gone horribly wrong, had gone perfectly right. While I made a reasonably easy landing within the drop zone, several planes dropped the other troopers too early. They landed in the wooded cliff below "topside" and on the beach below. They were in the areas where the enemy was most concentrated and hidden. This is where they phrase "horribly wrong" fits. These paratroopers were able to amass in small groups, and proceeded to the rendezvous point. The Japanese military conducted all operations based on commands from the top. The foot soldier does nothing until he receives an order from his immediate commander, who receives his orders through a chain of command, from the top. Thus said, one group of paratroopers, who were dropped in the wrong place, were making their way to "topside". They ran across a group of 7 or 8 Japanese soldiers. A quick fight ensued and all but one of the Japanese were killed. It turns out the dead included the island commander and some of his staff. The one prisoner taken happened to be the commander's orderly. This is where something horribly wrong turns into something perfectly right. Now there are are over 7,000 Japanese troops on Corregidor doing nothing; sitting around waiting for someone to tell them what to do. With their command out of commission, there was no one to do this. It had been decided by the Japanese on Corregidor to conceal their communications by using telephones rather than radios. All calls went through one center. If one outpost wanted to communicate with another outpost right next to it, it still had to go through this center. Now, another group of paratroopers who were dropped in the wrong place, were trying to make their way from the cliffs to "topside". They ran across this phone center and after a fight, completely destroyed the phone center and all Japanese communications on Corregidor. Here again, something horribly wrong turns into something perfectly right. There are over 7,000 Japanese troops sitting around waiting to hear from their dead commander on their dead telephones. Some of the most intense combat followed the next 9 or 10 days. It took 12 days to defeat them. All but approximately 50 Japanese troops were killed or committed suicide. Of the 50 survivors, 20 were taken prisoner, 20 remained hidden in the wooded areas. Approximately 10 were picked up by our navy as they tried to swim away from the island. Jim and I had the privilege of visiting these museums several years ago. The Airborne & Special Operations Museum and the 82nd Airborne Division Museum are fairly close to each other in North Carolina. Jim and I visited this library about 3 years ago. It is a huge library, with an extensive collection. For anyone interested in doing serious research on the United States Army it is a treasure trove of information. The MacArthur Memorial, Norfolk, VA. This is the CIA's website providing information on the background of our entry into the war with Japan. Many of these links offer pictures and additional insight into the fighting on Corregidor. Some of the pictures are of the way Corregidor looks today, showing ruins and war memorials. By looking at several different angles of the terrain on Corregidor, you will get a better idea of the placement of the troops in Jim's story. 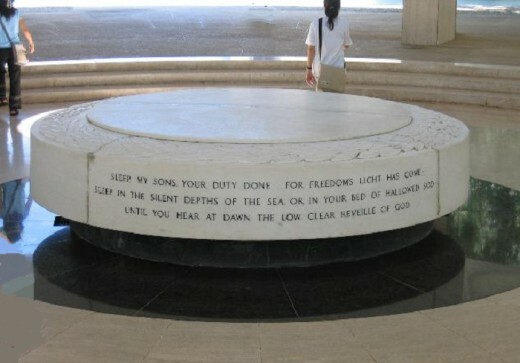 An interesting group of photos of the various war memorials on Corregidor. They include: the US memorial, the Japanese memorial and the memorial honoring the Filipino and American fighting men (Brothers in Arms). Photos of the mortors, barracks ruins and the Malinta Tunnel . It also includes the Japanese Garden of Peace a Japanese War Memorial. Thank you Jim, for sharing this story with us all. In 2013, the United Stated Department of Veteran's Affairs figures indicated that World War II veterans are dying at a rate of 600 per day. Of the 16 million who served, only 1.2 million remain alive today. It is projected that by 2036, there will be no remaining World War II veterans alive. Heritage - 35: Market Garden Mired, How Well Planned Was This Thrust to Bypass the German Siegfried Line? Thank you first and foremost for your service Jim, and second for sharing your experience. Brave and heroic are the two words that immediately come to my mind when I think of you, and the rest of those paratroopers. God bless. I so hoped all of the other vets' stories were captured on tape or in words as wonderfully as yours is. Thank you for your service and thank you for sharing your story. The inscription on the memorial is beautiful. Thanks to your husband for telling his story. 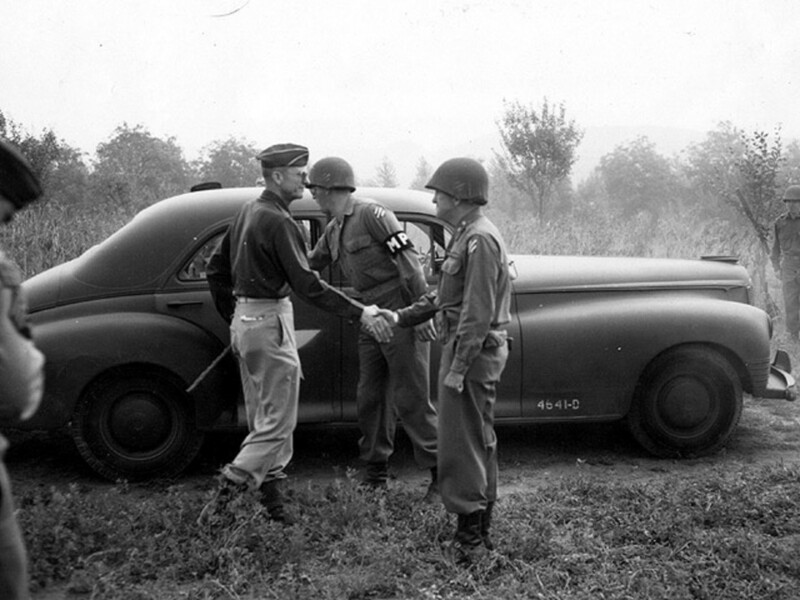 @ThreeQuarters2Day: During this event, the men of the 503rd reported to the corps, not to a division. 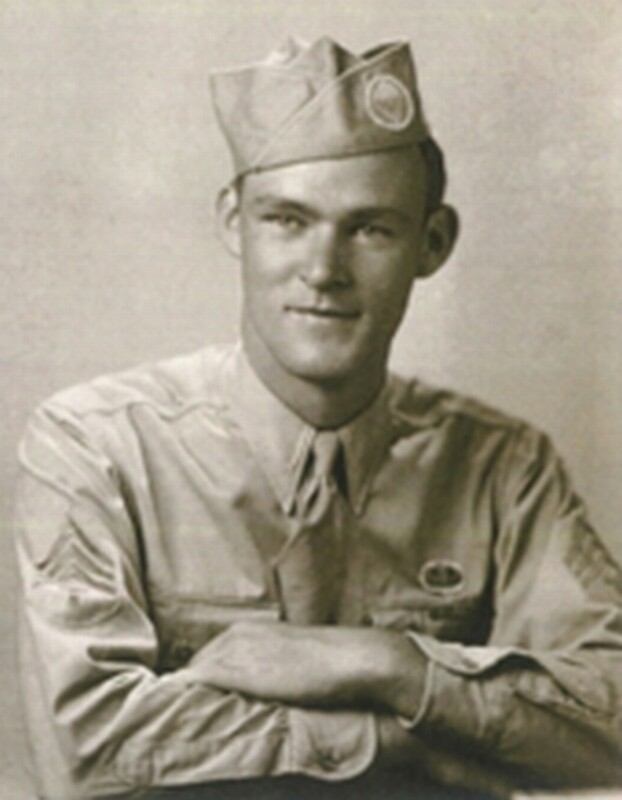 After the war, Jim re-enlisted and was then in the 508th PIR as part of the 82nd airborne. Thanks for the story, my Dad was a member of the 82nd Airborne in the early 1950s. I'm trying to find out more about his service. My father was in the USAFFE and was in the death march. According to my aunts, he was so emaciated when he came home that they have to take good care of him for months. So cool! Hearing these stories from the heroes that lived them is unparalleled! Thanks for sharing, and beautiful job on such a gorgeous lens! I always enjoy hearing a personal story from another vet. Thank you for your service. Thanks for sharing this important piece of history. I really enjoyed it. Wow this was a great lens, the theme really adds to the mood, I loved it! Thank you for sharing Jim's story with us. This lens is a great tribute to the paratroopers of the Greatest Generation. You did a magnificent job with this lens! @anonymous: Thank you so much for featuring this on your lenses. I think it's important we preserve these background stories which really give insight into our conflicts from the perspective of the fighting men. Absolutely riveting, I could feel my heart beating faster and holding my breath. I've already shouted this on FB and will get it featured on my Veterans and Veterans of War USA and my Support Our Troops and Veterans lenses....thank you! What a great tribute to very brave men - thanks kindly for sharing! @Mamabyrd: Thank you and congratulations on your Purple Star and LOTD and.....winning the camo quest. Whew! @wedpittsburgh lm: Thank you. I felt Jim's story is great and wanted to share it. Wonderful historical story with a wonderful topic! My mom's family was always involved in the Air Force, my grandfather in numerous wars and in Air Force entire life, 2 uncles in Vietnam for several tours, my father was an MP for the Army.... point is, what a wonderful dedication to the military service people of our country, your honors are deserved! I decided to use the "camo" theme for a hunting lens, but this is a great idea. Great story! Sounds like our troops had a few Guardian Angels watching over them. Wow, very powerful story! Beautiful. Thank you for sharing this amazing story! Congrats on the purple star! Wow. To read a first-hand account like this is really something. Fabulous lens! Congratulations on doing so well in the camo contest! @Commandrix: Yes, I agree about recording these stories. A good story...Thanks for creating this Lens. These stories need to be recorded before they disappear entirely.